Let the fun shine in with these earrings from Mikimoto! 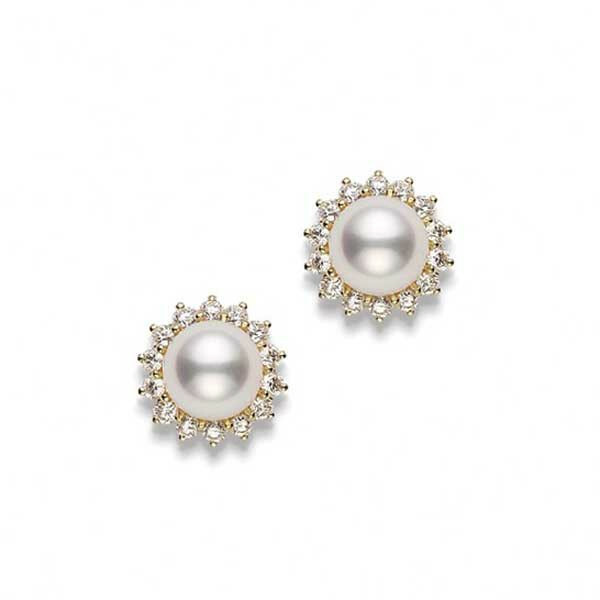 A 7.5mm Akoya pearl is surrounded by brilliant white diamonds set in 18kt yellow gold. The planets aligned when Mikimoto designed these earrings with sunburst motif!